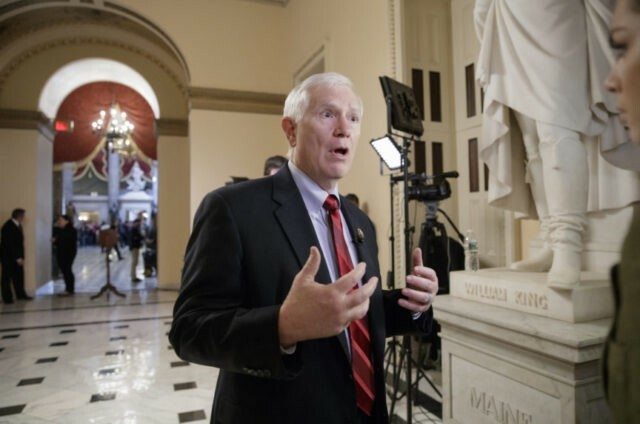 Rep. Mo Brooks (R-AL) told Breitbart News in an exclusive interview on Wednesday that President Donald J. Trump ought to declare a national emergency as well as deploy the military to the southern border to save American lives from the deleterious effects of illegal immigration. During a Tuesday House Armed Services Committee hearing with Under Secretary of Defense for Policy John Rood, Rood confirmed to Brooks that President Trump could use United States Code 10 (USC) § 284 to build a wall along the border using the military. Brooks joins a growing number of Republicans, such as Reps. Jim Jordan (R-OH), Mark Meadows (R-NC), and Sen. Lindsey Graham (R-SC) in calling for President Trump to use national emergency powers to build the wall, especially if Congress fails to find a way to fund a border wall by February 15. The Alabama conservative told Breitbart News how this specific code would enable the president to build a barrier along the southern border without declaring a national emergency or obtaining funds through Congress. Brooks also emphasized to Breitbart News that that, unlike current stipulations in the Continuing Appropriations Act of 2019, 10 USC 284 would allow the president to build any type of barrier on the southern border. Previous appropriations bills such as the Continuing Appropriations Act of 2019 limits the president to building a steel slat or steel bollard-style barriers along the border. Brooks conceded that using 10 USC 284 gives Trump a limited budget, however, Brooks also suggested that the president to use the National Emergencies Act of 1976, which would allow to the president to unlock more federal spending, such as the Military Construction (MILCON) budget. Breitbart News Legal Editor Ken Klukowski has illustrated how President Trump has the legal authority under the National Emergencies Act of 1976 to reappropriate funds to build a wall along the southern border. To justify the use of a national emergency power to build the wall, Brooks pointed towards the loss of American live through illegal immigrants as well as illicit drugs pouring through the southern border. Further, instead of protecting other countries with foreign deployments, Brooks said that the United States’ military should protect Americans at the southern border. Congressman Brooks told Breitbart News that he remains skeptical of Congress’s ability to come to a compromise in its conference committee that would fulfill Trump’s request for a substantial down payment on a border wall. “Just the three weeks that the Democrats have forced us to wait has resulted in a thousand dead Americans,” Brooks said. 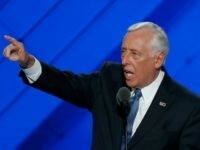 Brooks said that Democrats put far greater value their quest for power than their desire to protect the American people.